Whatever challenges lie ahead -- whether on or offroad -- nothing gives you confidence like a headache rack. ARIES truck headache racks are designed for unique style and a custom fit. They not only add extra protection for the rear of your truck cab, but they also give your pickup that aggressive, aftermarket look to own the path set before you. 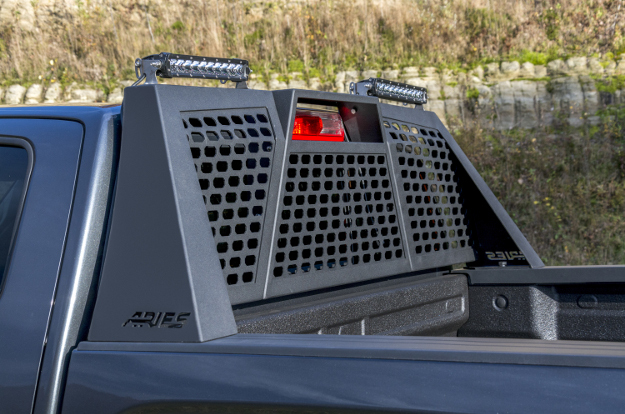 ARIES headache racks are easy to install and offer a variety of customization options, including LED lights. Look up your truck by make and model and find the perfect headache rack to suit your style. These offroad-style headache racks give your pickup truck an aggressive, trail-ready look. Their angular frame is constructed entirely from powder-coated aluminum to be lightweight and long-lasting. They also feature a slotted top edge for adding and adjusting LED lights. The Switchback® truck headache rack is extremely easy to install with our patented, one-bolt, stake pocket anchoring system. It also has a removable center panel for rear window access. 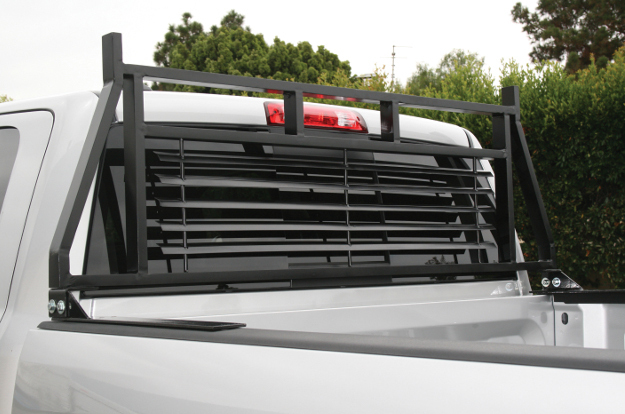 Equip your truck with bold style with the AdvantEDGE™ headache rack. 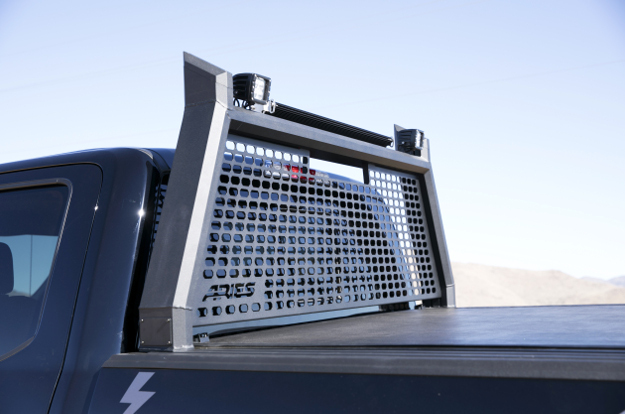 Like the rest of the AdvantEDGE™ truck accessories series, these headache racks feature a unique, eight-sided tubular construction of powder-coated aluminum. They also have a top channel for mounting LED lights and tiedown anchors. Like Switchback®, the AdvantEDGE™ truck headache rack installs with the ARIES patented stake pocket anchoring system -- just one bolt per side for easy, secure attachment. The ARIES classic is a steel headache rack option. These truck headache racks are constructed from high-strength 1" x 2" tubular steel and have a black powder coat finish. They feature a louvered center section for enhanced truck cab protection, and they can be customized with LED lights. ARIES classic headache racks are great for work trucks. They feature a versatile design to fit a wide variety of truck applications.